To make the dressing, whisk all the ingredients together in a bowl until the sugar has dissolved. Arrange the salad leaves in shallow bowls. 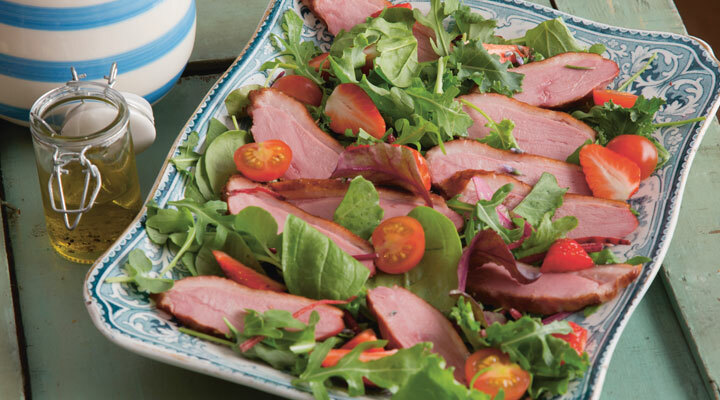 Slice the duck breasts on the diagonal and arrange over the salad. Add the tomatoes and strawberries and drizzle with the dressing.